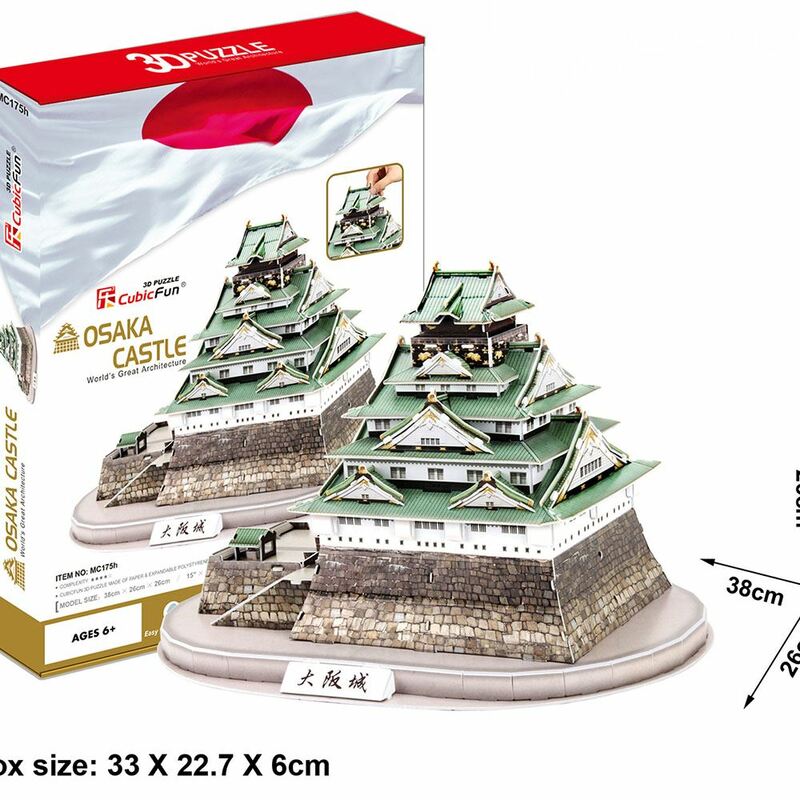 The castle is one of Japan's most famous landmarks and it played a major role in the unification of Japan during the sixteenth century of the Azuchi-Momoyama period. Osaka Castle was built by the ruler Toyotomi Hideyoshi, who ruled Japan, on the site of a temple called Ishiyama Hongan-ji. The construction work began in 1583 and most buildings such as the castle tower were completed in 1585. This 3D Puzzle is made of paper and expandable polystyrene foam board, it is easy to assemble without the use of any other tools or glue. No of Pieces: 101. Model Size: 38cm x 26cm x 26cm. Age: 8+ years.